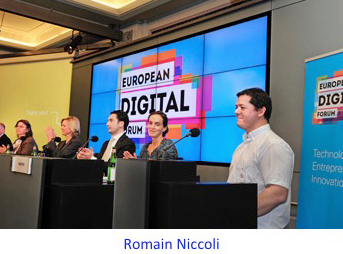 In January, the European Digital Forum completed a stellar first year of existence. And 2015 has already been a very fast-moving, successful year as well - with a host of fascinating high-level roundtables, cutting-edge research and topical policy initiatives. A big thank you to all for your support and active engagement. We are thrilled to continue working with you towards shaping Europe's digital future and empowering web entrepreneurs. Here is a look back at recent activities and a preview of forthcoming initiatives. 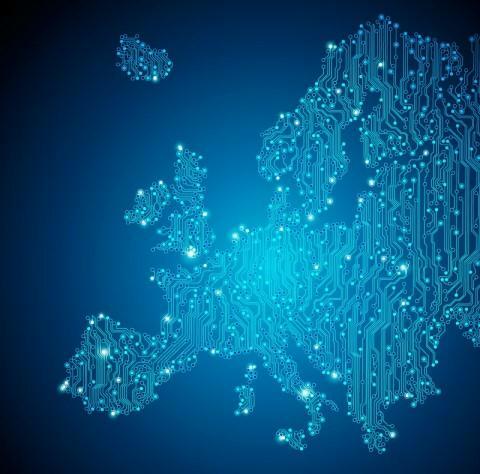 The High-Level Roundtable on Europeâ€™s Digital Future saw the launch of two major European Digital Forum papers. 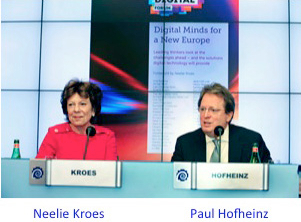 Neelie Kroes, former vice-president of the European Commission and commissioner for the digital agenda (2009-2014), delivered a fascinating keynote and launched Digital Minds for a New Europe, an e-book featuring 44 essays by the world's leading â€œdigitalâ€ thinkers. The roundtable also served as the launch pad for Data-Driven Business Models: Powering Startups in the Digital Age, a new policy brief. Romain Niccoli, co-founder and chief technology officer of Criteo, a very successful French digital advertising startup with more than â‚¬1 billion annual turnover, delivered a keynote. The European Digital Forum convened a High-Level Roundtable on Industry 4.0 and a Digital Single Market: How Digital Technologies Can Close Europeâ€™s Productivity Gap. 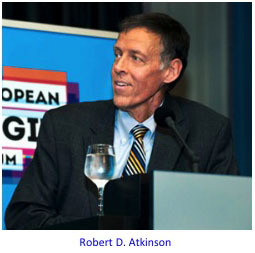 Two of the worldâ€™s foremost experts on information technology and productivity, Bart Van Ark, executive vice-president, chief economist and chief strategy officer of The Conference Board and author of Productivity and Digitalisation in Europe: Paving the Road to Faster Growth, and Robert D. Atkinson, president of The Information Technology and Innovation Foundation and co-author of Raising European Productivity Growth Through ICT, presented their research and led a discussion on how digitalisation drives productivity, growth and jobs. The European Digital Forum hosted the High-Level Roundtable on Open Data in the Digital Single Market. Beatrice Covassi, deputy head of unit for data value chain at the European Commissionâ€™s DG Connect, and Oliver Buckley, deputy director for government transparency and open data at the UK Cabinet Office, led an electric discussion and were joined by Vivian Chan, CEO and co-founder of Sparrho, Jonathan Raper, CEO and founder of Transport API, Yodit Stanton, CEO and founder of OpenSensors.io, and Chris Taggart, CEO and co-founder of OpenCorporates. 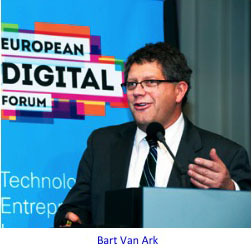 The European Digital Forum held two stimulating breakout sessions at the Startup Europe Summit. A forward-looking discussion on Technologies of the Future: What is the Role for Startups?, focusing on the potential of emerging and future technologies for startups. And a session on Startup Nation Europe: Driving Change at the Member State Level, where initiators of national Startup Manifestos, highlighted the reforms needed to create startup-friendly environments in their respective countries. The latter session brought together Startup Manifesto writers from the Netherlands, Poland, Spain and Sweden. 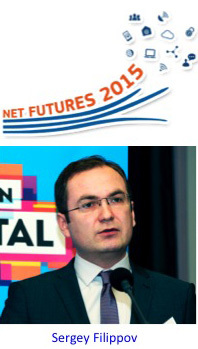 The European Digital Forum led an interactive workshop on startup-friendly policies and the actions needed to foster web entrepreneurship in Europe at Net Futures 2015, a leading tech conference organised by the European Commission on the prospects of new (Internet) technologies in Europe. Sergey Filippov, associate director of the Lisbon Council, chaired an eclectic group of high-level experts and successful entrepreneurs that came up with a set of policy recommendations to help European startups grow and scale up. 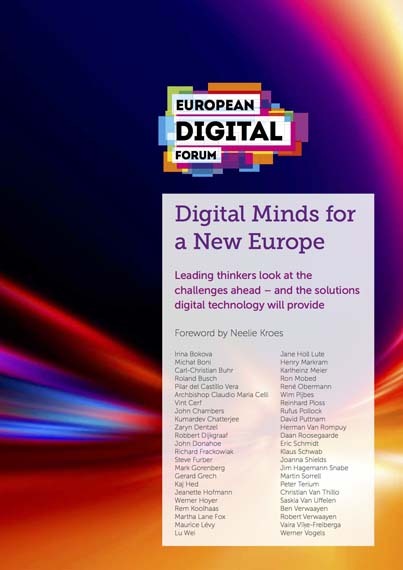 The European Digital Forum launched Digital Minds for a New Europe, a cutting-edge collection of 44 essays by the world's leading thinkers on the digital challenges ahead â€“ and the solutions technology can provide. Neelie Kroes, former vice-president of the European Commission and commissioner for the digital agenda (2009-2014), commissioned the essays to open a broad debate in Europe on the way forward, and contributed the Foreword (and an essay) to the e-book. 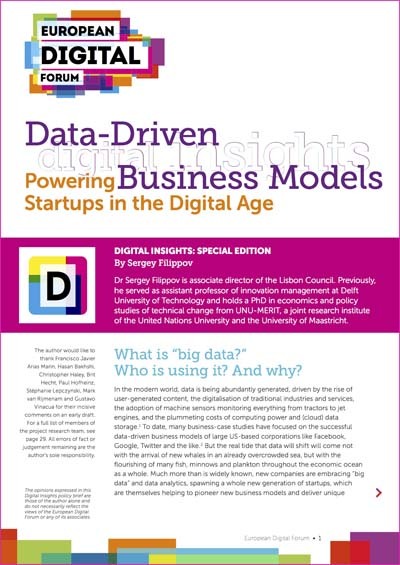 The European Digital Forum launched Data-Driven Business Models: Powering Startups in the Digital Age, a policy brief that looks at the growing prominence of data-driven business models for European startups. Based on extensive interviews with 20 leading European startups, the policy brief develops a first-of-its-kind â€œdata value-chainâ€ model, which summarises the types of business strategies emerging in this fast-growing field. Written by Sergey Filippov, associate director of the Lisbon Council, and produced in collaboration with European Digital Forum partners, it presents a set of ten â€œsmart policy principlesâ€ for making Europe an environment where digital startups can thrive. 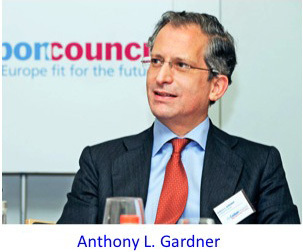 At a major lecture at Cambridge University on EU-US relations, US Ambassador to the EU Anthony L. Gardner quoted Data-Driven Business Models: Powering Startups in the Digital Age, a policy brief by the European Digital Forum. Accenture joined the European Digital Forum as a partner. Accenture is a multinational management consulting, technology services and outsourcing company, helping clients become high-performance businesses and governments. Its website is www.accenture.com. The European Digital Forum (represented by Nesta) teamed up with tech.eu, a premier Europe-wide technology digital publication, to conduct a survey among European startups and collect their views on what a digital single market would mean to them and how it should look like. By elevating the voice of European digital startups, the partners aim to provide positive and constructive contribution to the on-going policymaking process in this critical policy area. 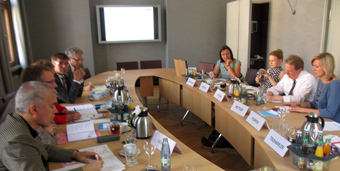 The European Digital Forum visited Munich for an intensive round of high-level meetings and study sessions to learn more about the Bavarian digital entrepreneurship and innovation ecosystem. The visit culminated in a high-level roundtable discussion with the leadership of the Bavarian ministry of economic affairs, media, energy and technology. 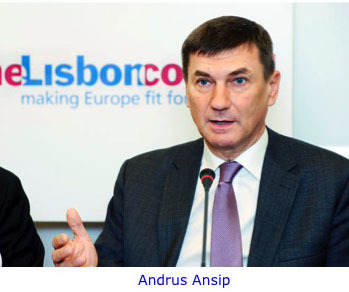 European Commission Vice-President for the Digital Single Market Andrus Ansip keynotes The 2015 European Digital Forum in Brussels this spring. The Forum will bring together entrepreneurs and policymakers to discuss the future of Europe's startup ecosystem. 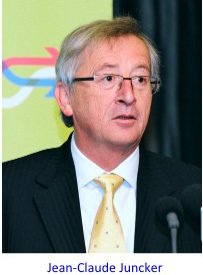 Two research projects will run in parallel with two visionary initiatives of Jean-Claude Juncker, president of the European Commission - the Investment Plan for Europe (which seeks to mobilise over â‚¬300 billion in private and public capital for investment in priority projects throughout Europe) and the Capital Markets Union (which seeks to provide a better, more conducive framework for doing business in Europe - a single capital market). This action-oriented research will highlight the role of digital startups and web entrepreneurs in these plans, and propose concrete policy initiatives. And more research projects will be launched in 2015. One aims to provide intellectual support to the work of European Commission on open innovation by critically analysing this concept in the light of the digital revolution. And a second project will focus on the interplay between web entrepreneurship and digitalisation of government. The European Digital Forum is launching Startup Manifesto Policy Tracker, an innovative online tool that will track the performance of individual European Union member states towards the implementation of policy initiatives aimed at improving their startup ecosystem and digital-era performance. 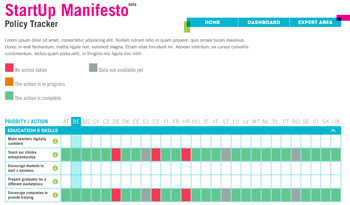 Specifically, the Policy Tracker will measure fulfilment and/or compliance with the recommendations put forth in A Manifesto for Entrepreneurship and Innovation to Power Growth in the EU, an initiative of the Leaders Club, a group of top European founders in the field of tech entrepreneurship, who put forward the ground-breaking Manifesto in 2013. 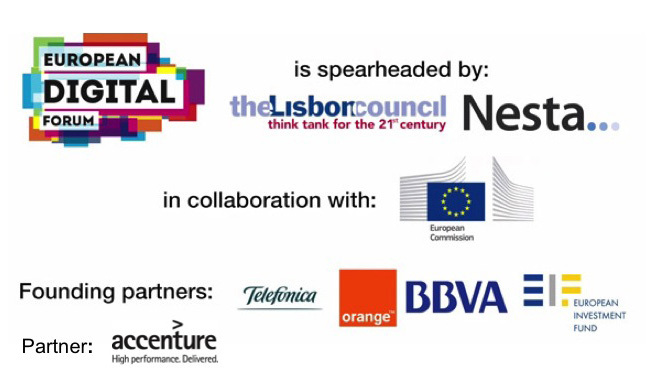 The European Digital Forum is a think tank led by the Lisbon Council and Nesta in collaboration with the Startup Europe Partnership and the European Commission. Founding partners include the European Investment Fund, TelefÃ³nica, Banco Bilbao Vizcaya Argentaria (BBVA) and Orange. Accenture serves as partner. Visit www.europeandigitalforum.eu.